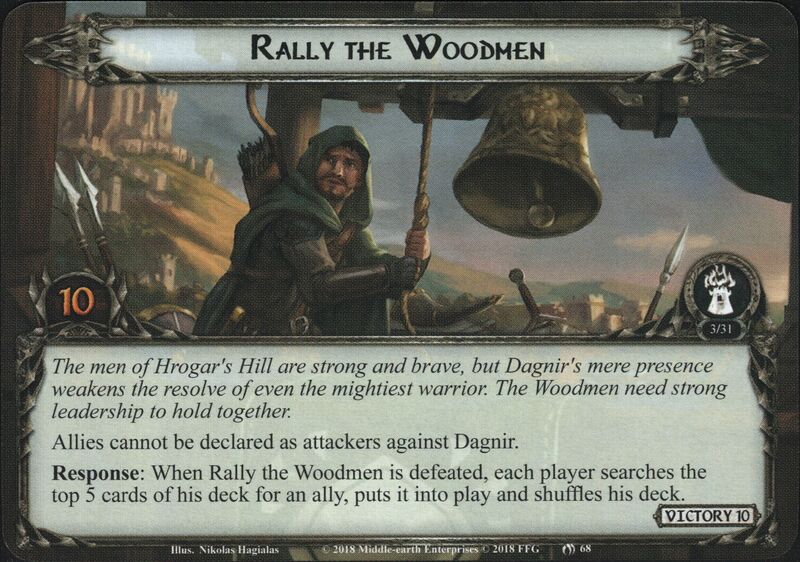 Allies cannot be declared as attackers against Dagnir. 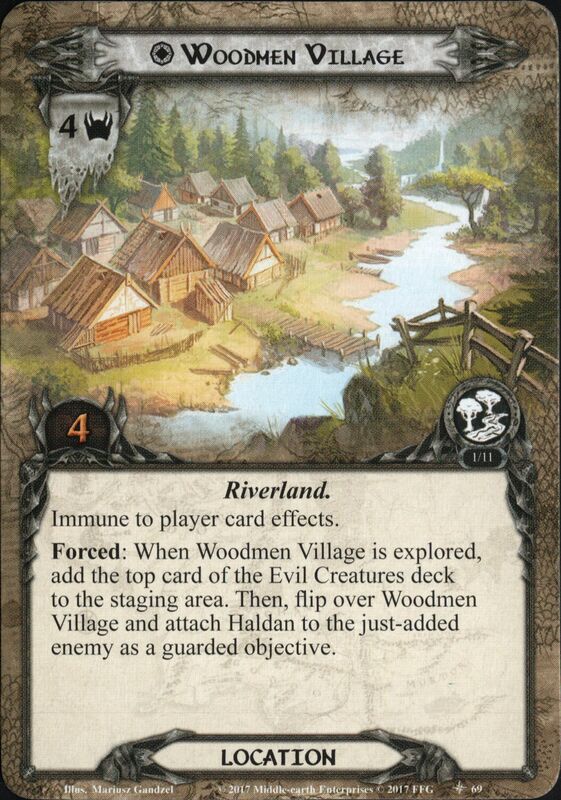 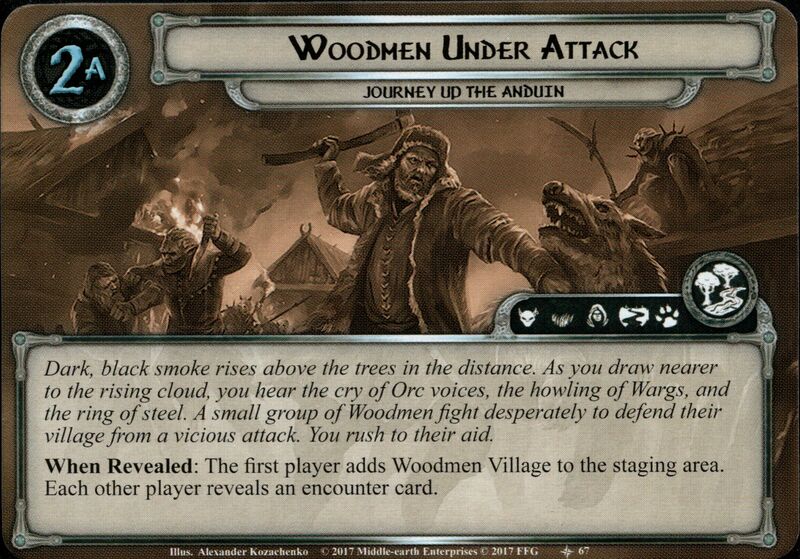 Response: When Rally the Woodmen is defeated, each player searches the top 5 cards of his deck for an ally, puts it into play and shuffles his deck. 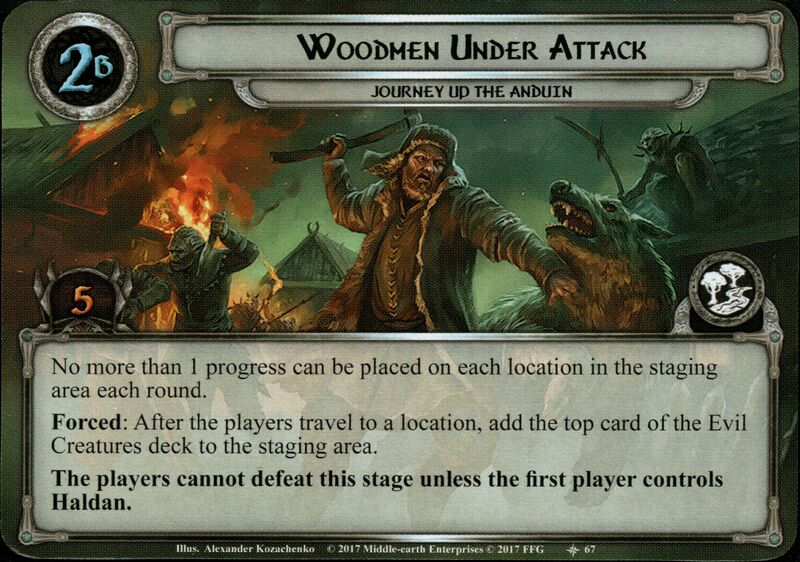 Attach to a location with no progress tokens on it. 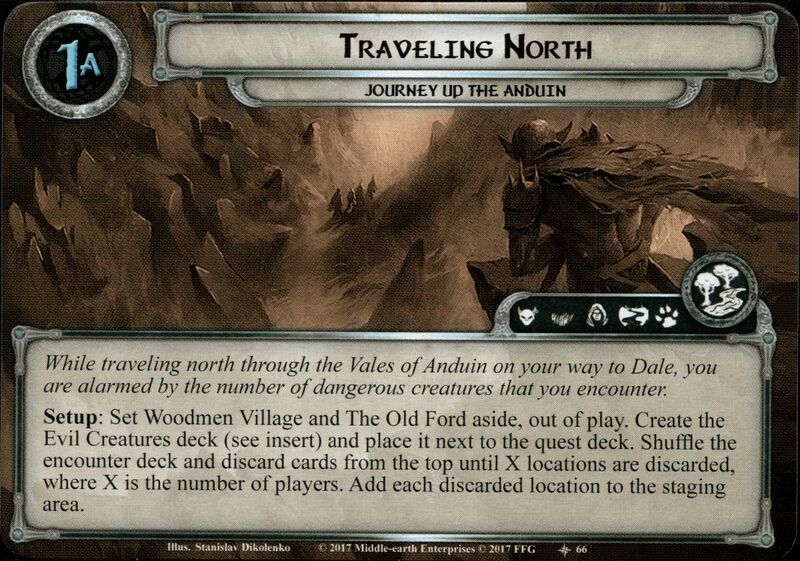 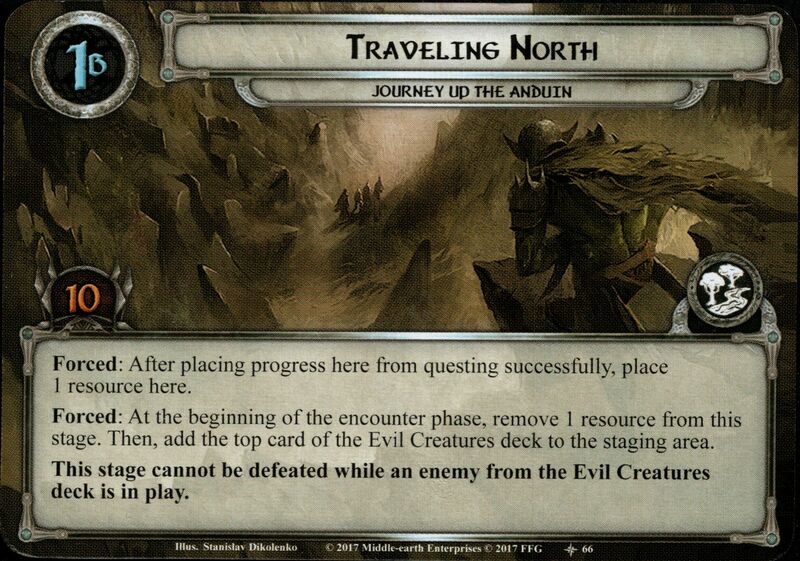 While attached location is the active location, reduce its quest point value to 1.